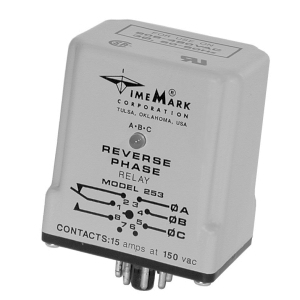 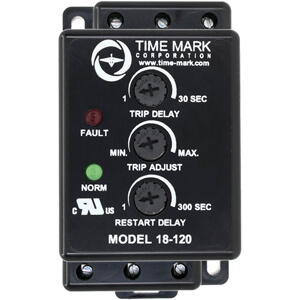 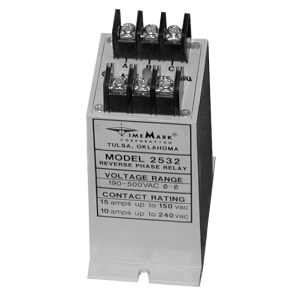 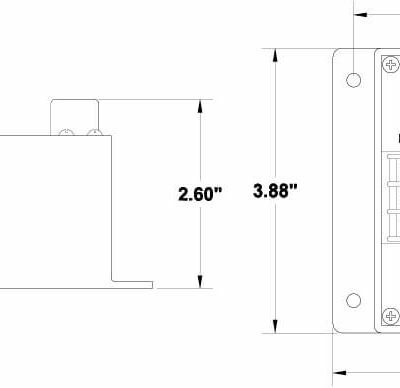 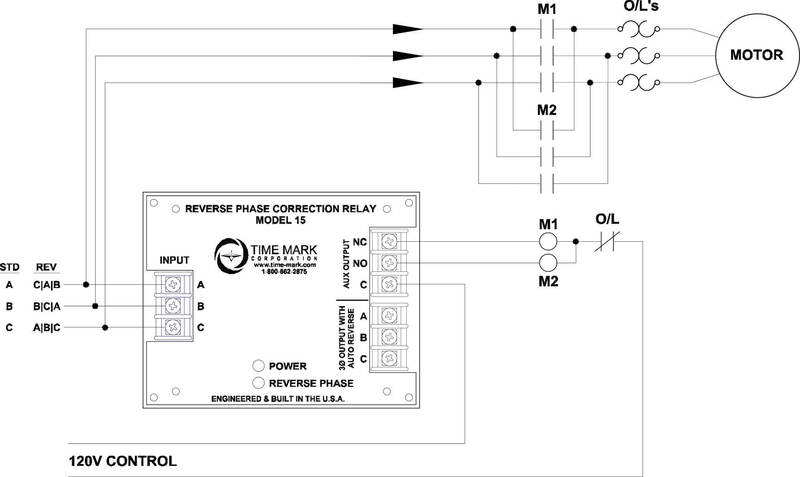 The Model 2532 Reverse Phase Relay is designed to continuously monitor phase rotation of 3-phase lines. 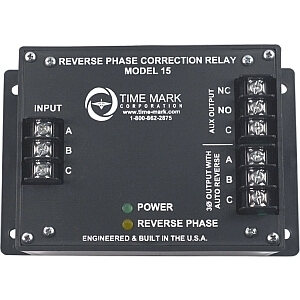 This device should be used in applications where proper phase rotation is critical, such as fan motors, compressors, grinders, elevators, etc. 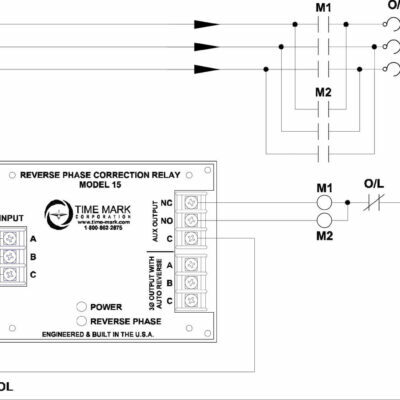 The solid-state sensing circuit drives an internal electromechanical relay which energizes when power, with correct phase rotation, is applied.